Word is they're even a few "Indian" Mexicans too with last names like Singh and so on. 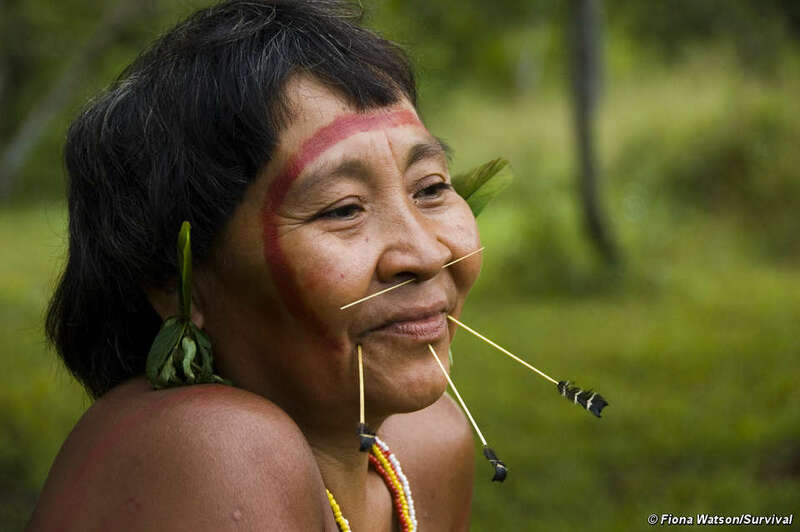 Look at this Brazilian Amerindian woman for example. Look at the shape of her eyes, they definitely look Asian influenced. The true hypocrisy is pro-illegals arguing in favor of allowing illegals to stay while those who applied and followed the rules continue to wait their turn to enter. What right does any illegal have to stay? How is it just while those who obeyed the rules are left waiting? I will go along with this. In addition to the OPs listed viewpoints, and the ones above, I have a LOT of other heartburn with illegals. They are arrogant, beyond belief. They come here, and try to make wherever the settle, Mexico. If Mexico is so great, go back, anx run your flags up there. They are a HUGE drain on our healthcare system. The overload our ERs and urgent care clinics, anx don't pay for the services, driving up OUR care costs and taxes to pick up the tab. Like we are obligated to pay for delivering their anchor babies. Grrrr. Mexican gangs, many of which are comprised, wholly, of illegals, are running amok, destroying large areas of both urban and rural communities. Illegals flaunt their abuseses of our systems, proudly. Many of them are criminally minded, and target white citizens with the express purpose of showing us they just don't think we can do anything about it, and when we do, they scream racism, knowing full well the stigma attached to that label often means guilt, out of hand. Groups like La Raza are formed, to push more anx more illegals to come here, bolstering already glutted numbers, and cramming their "brown pride" down our throats. They disrespect our laws, in the arrogant and dismissive attitude that the "anglo" rules just don't apply to them. They don't pay taxes, yet revieve services like food stamps, AFDC, WIC, county and state health services, their children attend our schools, and the schools have to provide special instruction, in Spanish, at OUR expense, Spanish interpretors have to be kept on staff at the schools, county , city and state offices, WOW! There are other factors that influence my attitude as well, but I am not inclined to go into them now. Personal ones. At any rate, any amnesty plan, and those that support it, can go straight to Hell, far as I'm concerned. And so can all the poor starving farmers herebouts that import these locusts into my home in boxcars. And construction contractorsas well, who hire them wholesale, under the table, and write the expenses off as equipment rental and such. The illegals drain our taxpayer funded services, work inder the table, and send billions of dollars anually back to Mexico az well. Yea, I'm bitter as Hell about the illegal issue. So then they are "hypocritical" for not wanting to allow their gov't to crap all over them, undermine their standard of living, and vastly increase the size of the underclass in this country, until there are massive riots and the country explodes? That's what you call a "light-bulb" moment?